Contrary to what you might believe, being a dapper dude doesn't require that much effort. 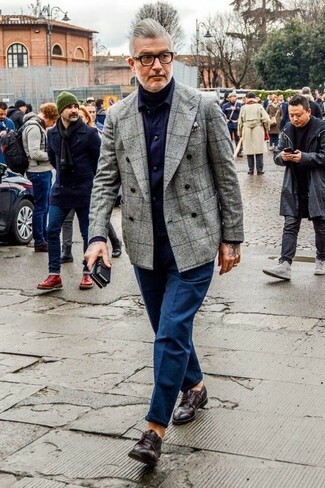 Just reach for a grey check wool double breasted blazer and navy chinos and you'll look incredibly stylish. Magnanni dark brown leather derby shoes are an easy idea here. 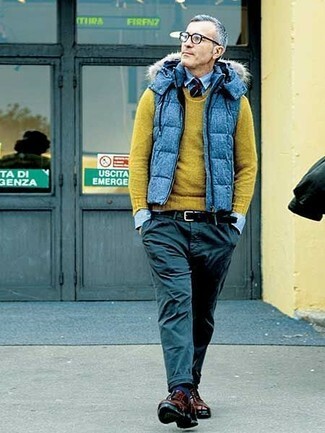 If you're searching for a casual yet on-trend outfit, rock a blue quilted gilet with black chinos. Both garments are super comfy and look great paired together. Amp up the cool of your ensemble by finishing off with Magnanni Melish Plain Toe Derby. 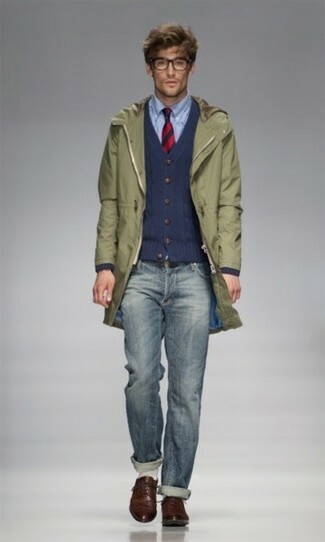 If you prefer relaxed dressing when it comes to your personal style, you'll love this on-trend combination of an olive parka and blue jeans. You could perhaps get a little creative when it comes to footwear and elevate your ensemble with Magnanni Melish Plain Toe Derby. 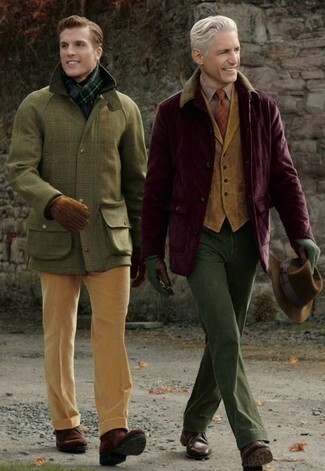 If you're looking for a casual yet seriously stylish outfit, opt for a burgundy corduroy barn jacket and olive chinos. These two garments are super comfy and will look incredible together. Throw in a pair of Magnanni Melish Plain Toe Derby from Nordstrom to show your sartorial savvy. Try pairing a grey suit with a white and navy gingham long sleeve shirt like a true gent. Dark brown leather derby shoes are a great choice to complete the look. 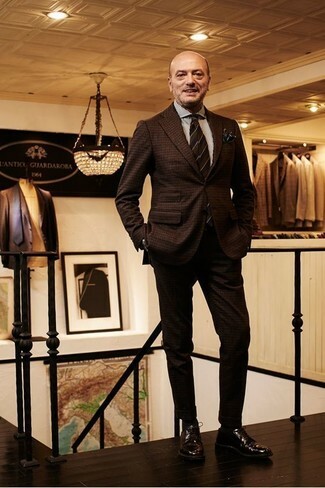 Marry a dark brown check wool suit with a white vertical striped dress shirt like a true gent. Make Magnanni Melish Plain Toe Derby your footwear choice to make the look more current. For a nothing less than incredibly stylish look, wear a charcoal suit and a white dress shirt. Dark brown leather derby shoes will add more playfulness to your getup. 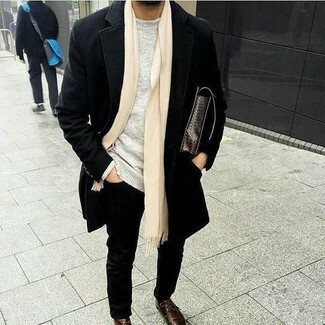 If you're scouting for a casual yet sharp ensemble, rock a black overcoat with black skinny jeans. Both items are totally comfortable and will look great paired together. Sporting a pair of Magnanni melish plain toe derby is a simple way to add extra flair to your getup. This combo of a mustard barn jacket and light blue plaid dress pants is very easy to pull together without a second thought, helping you look sharp and ready for anything without spending a ton of time going through your closet. 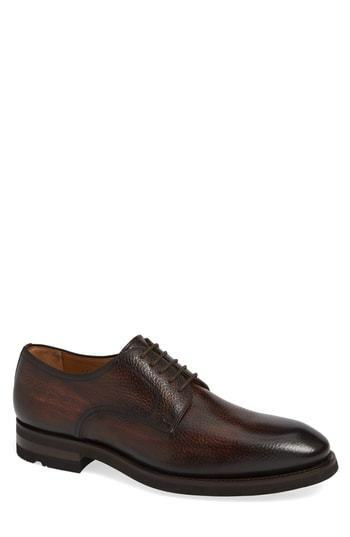 Round off with dark brown leather derby shoes and off you go looking dashing.